Ref. : 4015223. Piston suction cup with alarm. Supports up to 100kg. Ref. : 4015234. Piston suction cup. Supports up to 80kg. Ref. : 4015232. Piston suction cup. Supports up to 100kg. These are three suction cups in which the vacuum is produced by operating the pump repeatedly. They have a high level of safety because the vacuum is under permanent visual control. In addition, these suction cups are suitable for all materials with flat, airtight surfaces and are TÜV and GS (safety certificate) certified. 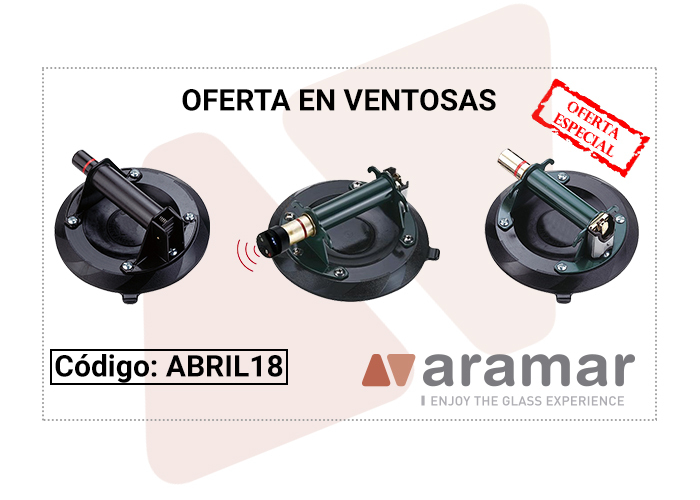 To enjoy this discount, do not forget to quote the code: APRIL18 before making the purchase.